To celebrate Christmas 2016, Luca Comunello, Syncro’s president, went in person to deliver best wishes for the season to the staff of Syncro Germany in Bamberg. For Syncro System, Christmas is a time of unity and sharing, for celebrating past successes, for looking to the future with serenity and optimism and for planning together how to improve the products and services we offer to our customers. 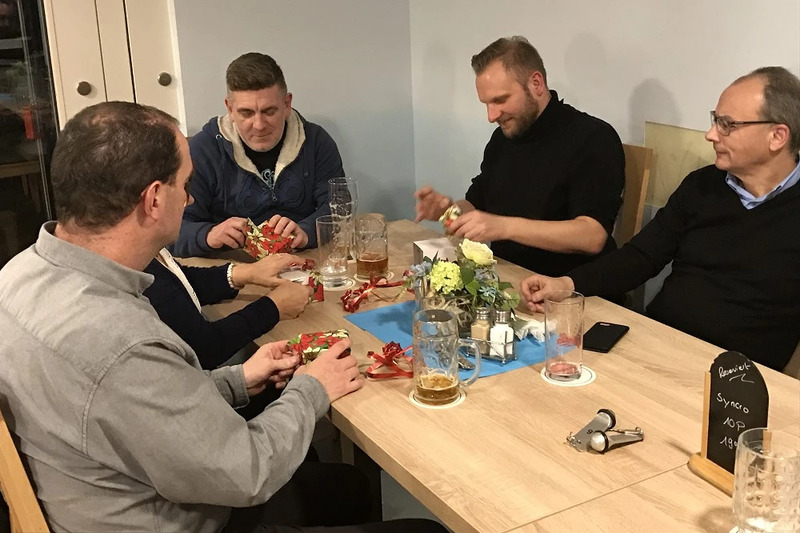 The photos above illustrate moments from the Christmas dinner of Syncro’s German subsidiary. 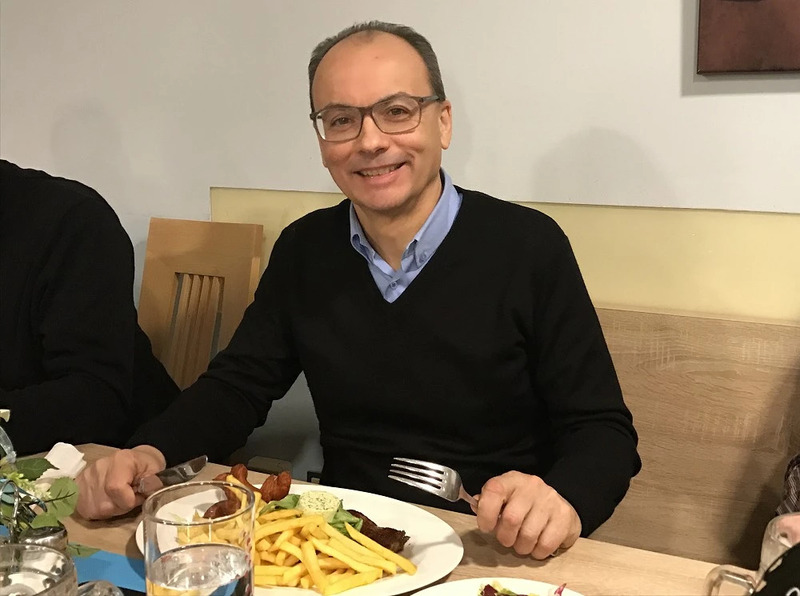 Seated at the same table are the entire staff of the group’s Bamberg office, Edoardo Mantoan, one of managers from the export department and the group’s president, Luca Comunello. In typical German style, the bierhaus event ended with an exchange of gifts and a toast to a prosperous and happy 2017 for the company and for the families of all present! In recent weeks, Luca Comunello has also visited branches and dealers around Italy to deliver management’s best wishes along with a gift for all employees.